We all know that the Millennial generation relates to everything in a different way than us older folks. This is true for how they relate to nonprofits and their philanthropic spirit and approach. Almost all of the nonprofit leadership, including fundraising professionals, fall into that “older folk” category. So we have a lot to learn. The Millennial Impact Report is the resource we should all be studying and taking to heart. 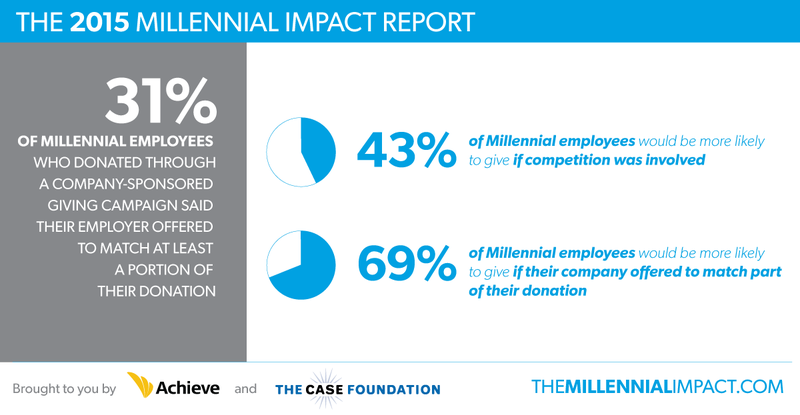 Since 2009 they have been answering the question, “How does the Millennial generation connect with, get involved with and support causes?” Each year the report has focused on a different aspect of Millennial giving. I have written about this report each year –reporting the key findings and adding my commentary - especially ideas applicable to small nonprofits. This article does the same for the 2015 report. This year the report focuses on company cause work, the factors that influence engagement in the workplace and the relationship between Millennial employees and their managers. This research is especially important to nonprofits that depend on volunteerism and need to adapt to its changing nature. 1. UTILIZE PEERS AND DIRECT CO-WORKERS TO INFLUENCE PARTICIPATION. 2. 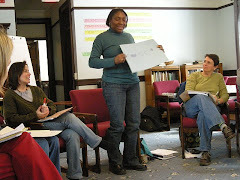 OFFER EPISODIC, SHORT-TERM VOLUNTEER OPPORTUNITIES. 3. LEVERAGE COMPETITIONS AND INCENTIVES. 4. SHOW HOW PARTICIPATION MAKES A DIFFERENCE. 6. IDENTIFY CAUSES THAT YOUR EMPLOYEES CARE ABOUT. Some of the key findings are true for us older folk too. Asking makes a difference. This fundamental rule of fundraising continues to be true with this generation. 46% said that they are more likely to give if a co-worker asks them to. 65% to 77% of all groups - millennials and non-millennials – were most influenced to give by corporate matching gift plans. 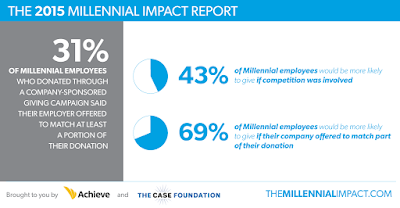 84% of Millennials made a donation in 2014 but only 22% were solicited at work. Wow – What a potential growth opportunity for nonprofits. 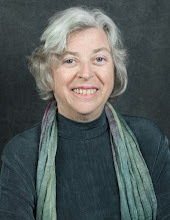 Here is a surprising but noteworthy influencer for employer based giving. 43% of Millennials said they would be more likely to give if competition was involved but only 24% of managers felt this way. I recently saw that at a local school a class that had 100% participation in a volunteer activity earned a pizza lunch. Designing fundraising campaigns with a competition – something to think about. It is easy enough to do and in many cases can be done without a cost. Will an employer designate a parking space for the employee volunteer of the month? Name recognition and days off are mentioned in the study. Most Millennial employees volunteer only 1 to 10 hours a year but 79% of them say they felt they made a difference. 65% of them said they were more likely to participate if their co-workers did and 44% said they were more likely if their manager volunteered. These statistics represents a major opportunity for growth – especially for small locally based nonprofits. Designing one day projects that an employee volunteer group can work on or even better – complete – can be a new and effective way of getting things done. Even better, Millennials like to volunteer using their skills and again like older folk are turned off if they feel their time was wasted. Group volunteer projects can lay the relationship building foundation for future donors. Other studies have shown that volunteering first is a key to giving for the younger generations. Small companies usually do not have company giving plans but they can still encourage a culture of giving through peer solicitation and informal employee initiatives from setting up and managing a collection box for food/school supplies to selling girl scout cookies (my examples). Company programming can successfully develop a workplace culture of giving and volunteering. To be successful, companies need to make two investments: in employee cause work and manager participation. Passion is the key to influencing participation in company-sponsored cause work. If you are a small nonprofit, there is lots of data here that can help you convince local businesses to work with you on giving and volunteering.